A ready to install, compact reception table finished in light oak and white combination. Designed to seat one person, it also includes one fixed storage pedestal with lock and one inbuilt wire management grommet. 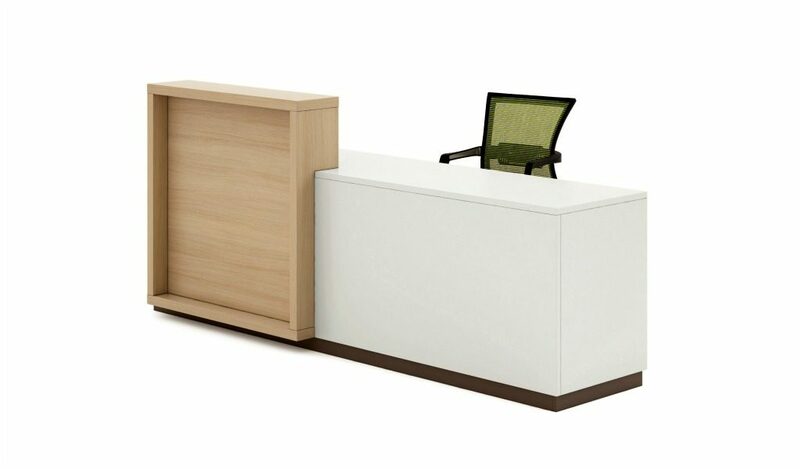 Impeccably finished and thoughtfully designed, it is suitable for small and medium size reception areas. 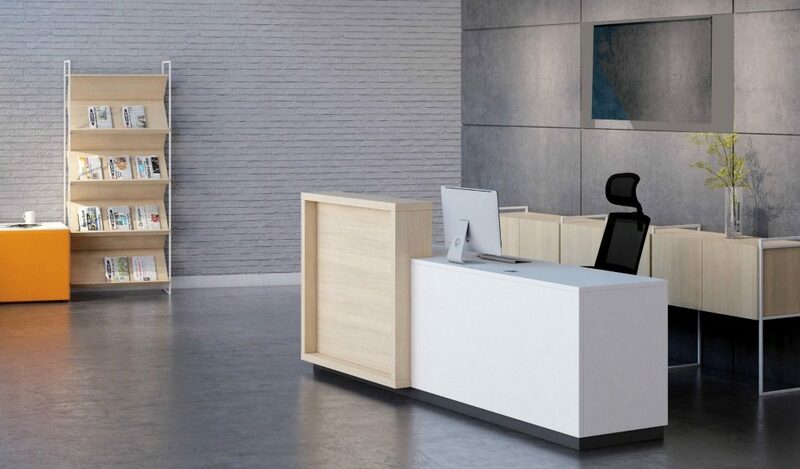 – A contemporary reception desk in a combination of white and light oak laminate. 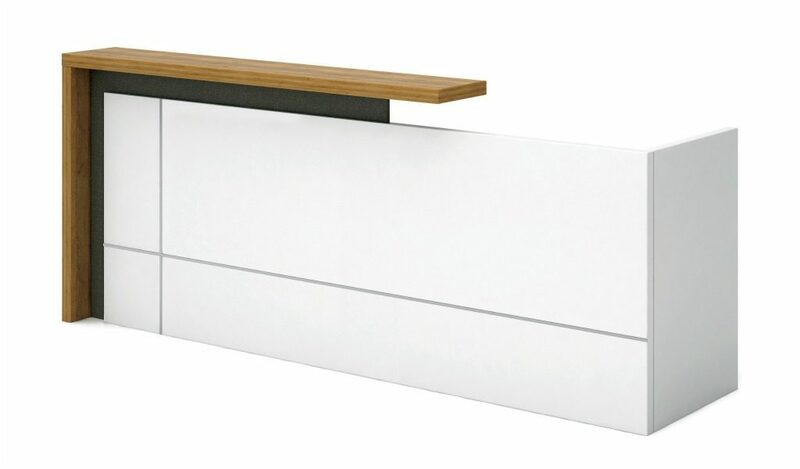 – This stylish and compact front desk is suitable for medium size reception areas. Its also a great choice for entrance lobbies as well as small retail store billing counter. – Main reception table with a fully covered front panel and work top. Also included is one storage pedestal and grommet for wire management. – Made using environment grade engineered wood and laminate. The E1 grade MDF is a highly durable material and a world standard for premium office furniture while the laminate is from our carefully selected range of premium surface finishes with consistent color and grain structure. 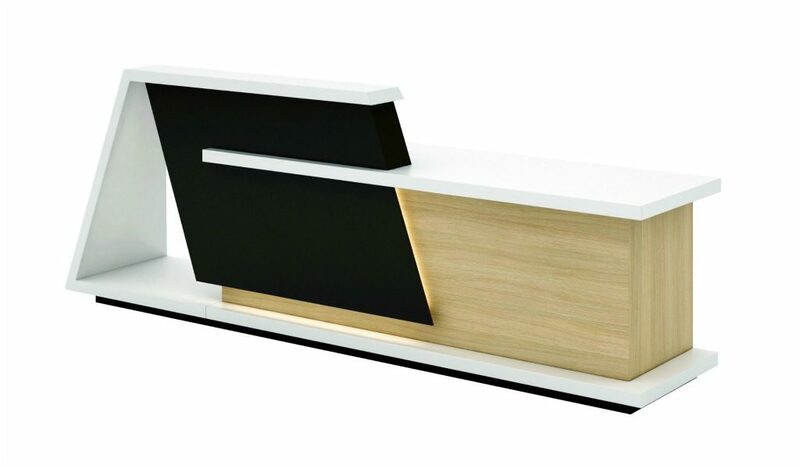 – This 6 feet width stylish reception desk is finished in light oak and white laminate. The natural wood finished counter comes in a smart split level design. The oak wood finish high panel provides privacy while the lower level worktop gives it an open look and feel. Designed with knocked down parts it can be shipped and installed anywhere with ease and promptness. 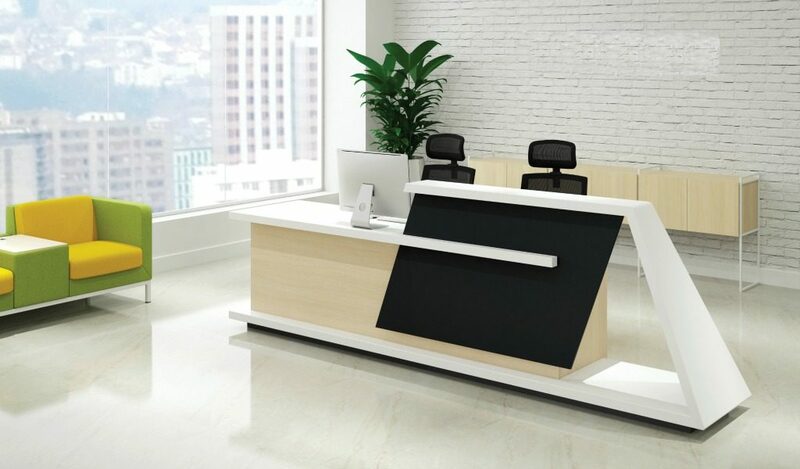 Built with top grade materials and an impeccable finish for lasting durability and luxurious looks it is suitable for reception areas and shops with modern interiors. 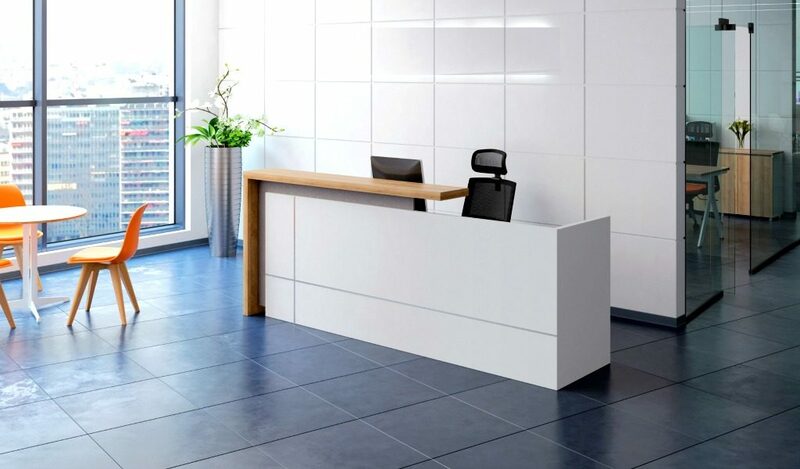 The reception desk also includes a storage pedestal for added convenience and a clutter free work surface. It is part of the Mobilis series which offers many more options for reception tables.